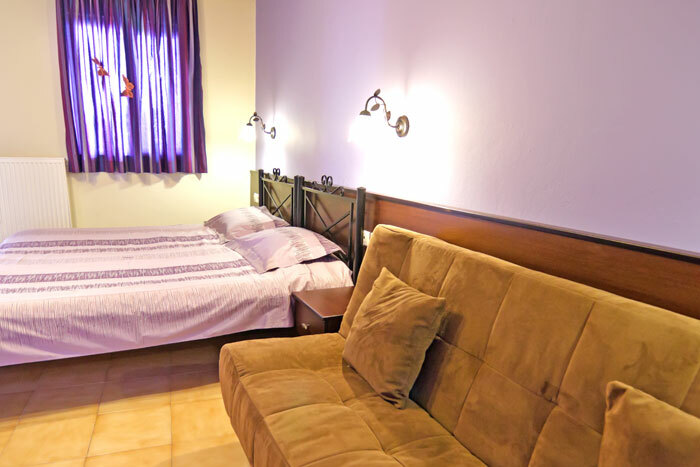 Our two storey pension consist of 12 extremely clean rooms (incl. double, triple, quadruple) with en suite bathroom and shower, hot water at all times, air condition or heating, flat LCD T.V. with satellite programs, refrigerator - and kitchenette in some of them. Some of our rooms are privileged with a breathtaking view of the Medieval city of Rhodes, the harbor and the Aegean sea. 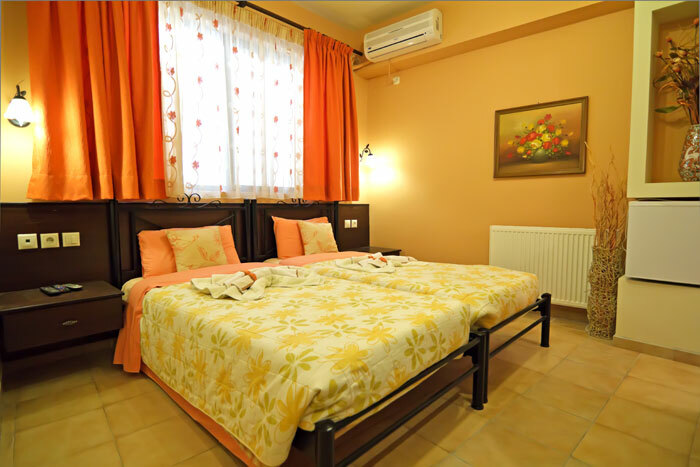 Other rooms have view to our picturesque neighborhood, the wind mile opposite to our building and our pension's garden. At the garden lounge area you can relax under the rich shade of mandarin and lemon trees. The rooms have everyday cleaning service. 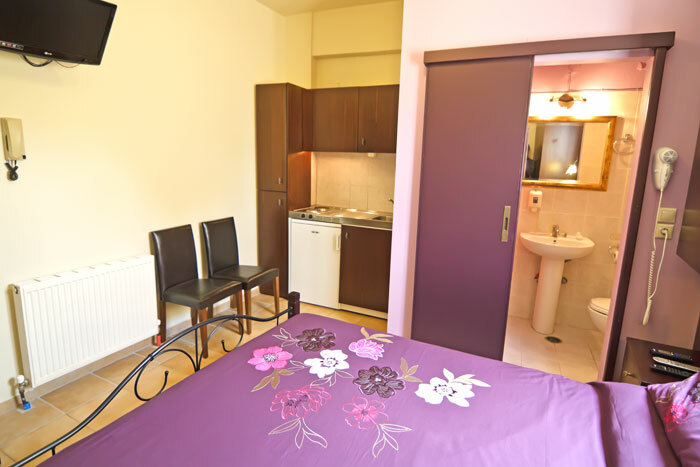 (Kitchen is offered in some of our rooms) Rooms with kitchenette are supplied with kitchen utensils.